I know just what you mean bro. So many times, think we mistake the fundamentals for fundamentalism and imagine our own specific understanding of the Scriptures to be the “once for all” faith Jude speaks of. Have not read it yet but it makes me think of Harris’ new book “Humble Orthodoxy” and how a healthy dose of humility could bring even greater depth of conviction, if only we’d be willing to swallow it down. God’s peace. Appreciate what you write here very much. I really want to read that Harris book too. I heard him give a sermon on it once a few years ago and was deeply impressed. This was before I was Reformed as well. This is a wonderful, thoughtful, and encouraging post! Thank you. Oh wow, that is very kind. Thanks for the encouragement. I’m glad it blessed you. Principle of charity is so important, especially in this age of Internet and social media. Its’s so easy just to rant. Studying common logical fallacies (formal and informal) would do good for many hot-headed young theologians. I know it did good for me at least. This was terrific. Thanks for thinking it through and sharing it. This kind of intellectual dishonesty is as much a spiritual problem as an intellectual one. I hope we learn to meet it well. 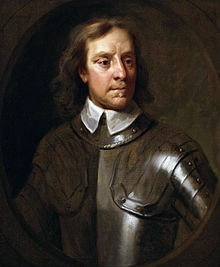 Funny you quote Cromwell. Too bad he didn’t take his own advice before he decapitated the king of England and massacred the Irish as devil people. That’s my ungenerous polemic for the day 🙂 . Thanks for the post. Oh yeah, he wasn’t a peach either. Just a great quote. Well written Derek. I particularly liked this line: “When someone within your fold goes off the rails, they need to get criticized and corrected by those within first.” The temptation in the blogosphere is that we tend to feel we need to “defend our camp” at all costs providing, often, justification upon justification rather than just calling someone out even if – especially if – we are in the same fold. Thanks, Derek. Yeah, it’s a troubling thing. It’s also hard because you risk getting alienated from your tribe, especially if your voice isn’t very established.